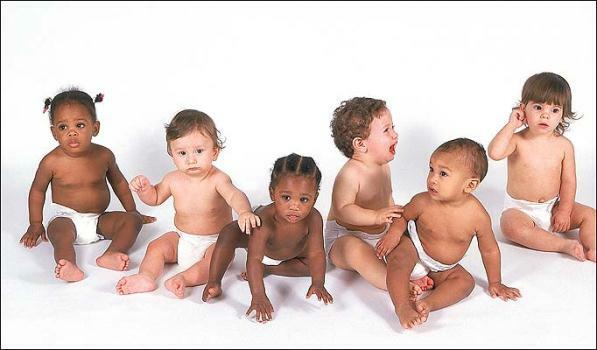 WASHINGTON - The latest census numbers reveal ethnic minorities now make up the majority of babies in the United States. Currently, non-Hispanic whites make up just under half of all three-year-olds, which is the youngest age group shown in the Census Bureau's most recent survey. It is the first time that this has been the case and the change reflects a growing age divide between mostly white, older Americans and predominantly minority youths that could reshape government policies. Census estimates also show the share of black households headed by women - made up of mostly single mothers - now exceeds black households with married couples, a sign of declining U.S. marriages overall but also continuing challenges for black youths without involved fathers. The findings stem from a preview of final 2010 census results being released this summer. Experts say the numbers provide the most accurate information reflecting a changing social order, one in which racial and ethnic minorities will become the U.S. majority by the middle of the century. The preliminary figures are based on an analysis of the Current Population Survey as well as the 2009 American Community Survey, which sampled three million U.S. households to determine that whites made up 51 per cent of babies younger than two. Female-headed households make up a 19 per cent share among Hispanics and 9 per cent each for whites and Asians.